Supported all clock rates 2.5, 5.0 and 6 MHz IC's. 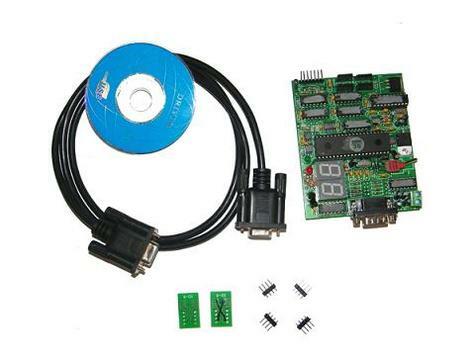 1) Host: A 32 Bit x86 based or Pentium PC with a free Com1-8 communication port. NOTE: Delivery State: The first 32 bytes (incremental registers) are set to all "0"s, 16 words at $0000 The EEPROM memory array $0020-$3FFF set to all $FF.